Patrick Kane was inducted into the Associate Hall of Fame by the Builders League of Southern New Jersey. Continuing Taylor Wiseman & Taylor’s active involvement in and support of the BLSJ, a company tradition lasting more than 50 years, Patrick has lent his energy and expertise to a number of vital projects. Pat was a member of BLSJs Smart Growth committee and provided valuable input by compiling and creating a growth fit concept plan, introduced legislative leaders as an answer to making smart growth concepts work in the real world. He was a representative from BLSJ to the working group created by Rutgers University’s Walter Rand Institute for Public Affairs to further develop and promote the Land Use Approach. He has served on the Associates Committee and was honored as the Associate of the Year in 2005. More recently, he chaired the committee that spearheaded the creation of BLSJ’s new website. 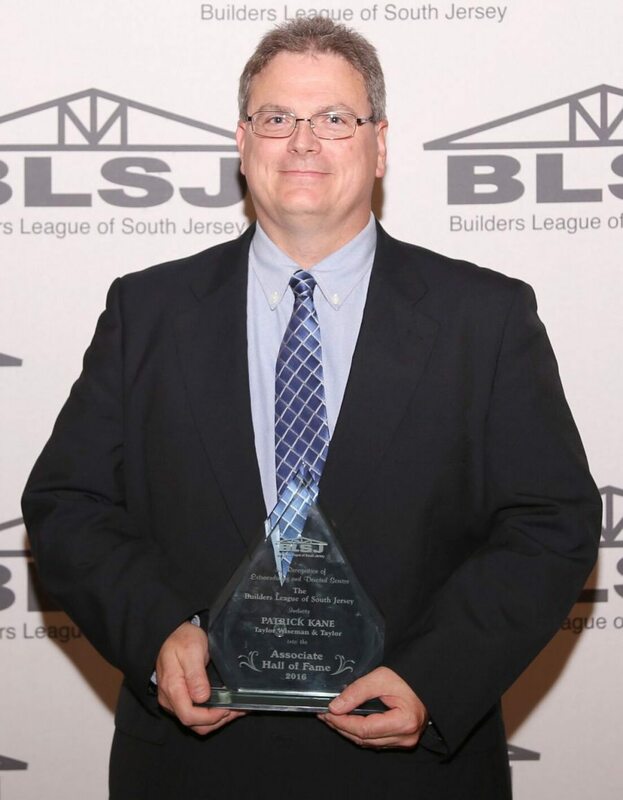 He is a member of the BLSJ Board of Directors, the NJBA Board of Directors, Trustee of the BLSJ Charitable Foundation, and a supporter of the South Jersey Builders Political Action Committee.